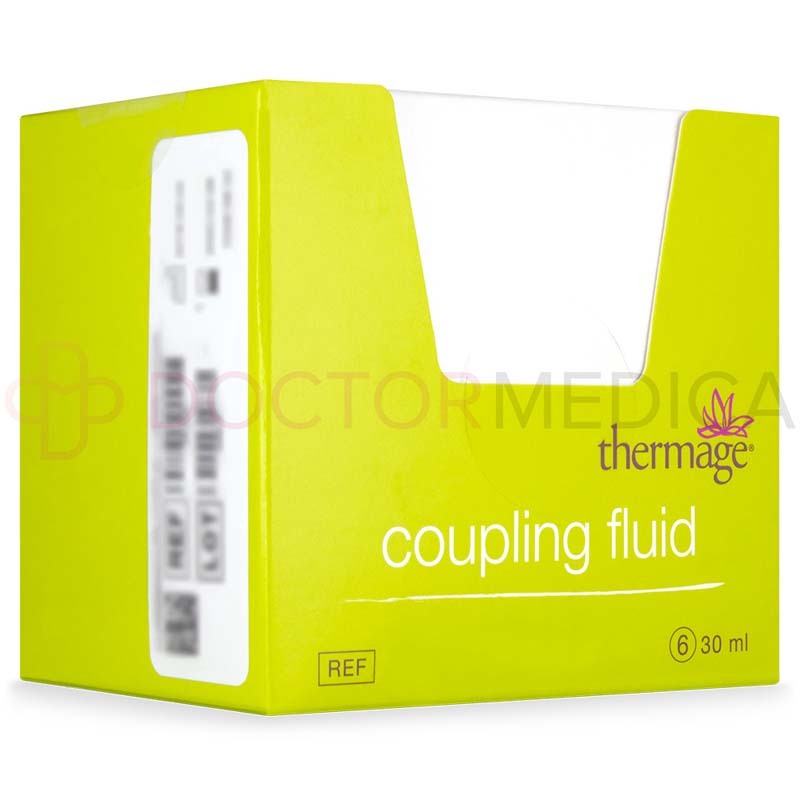 Thermage TF-2 Coupling Fluid should be used in conjunction with the Thermage CPT system, and you can purchase it online or by phone from Doctor Medica. Order Thermage TF-2 Coupling Fluid from Doctor Medica to safely and effectively perform Thermage CPT treatments. 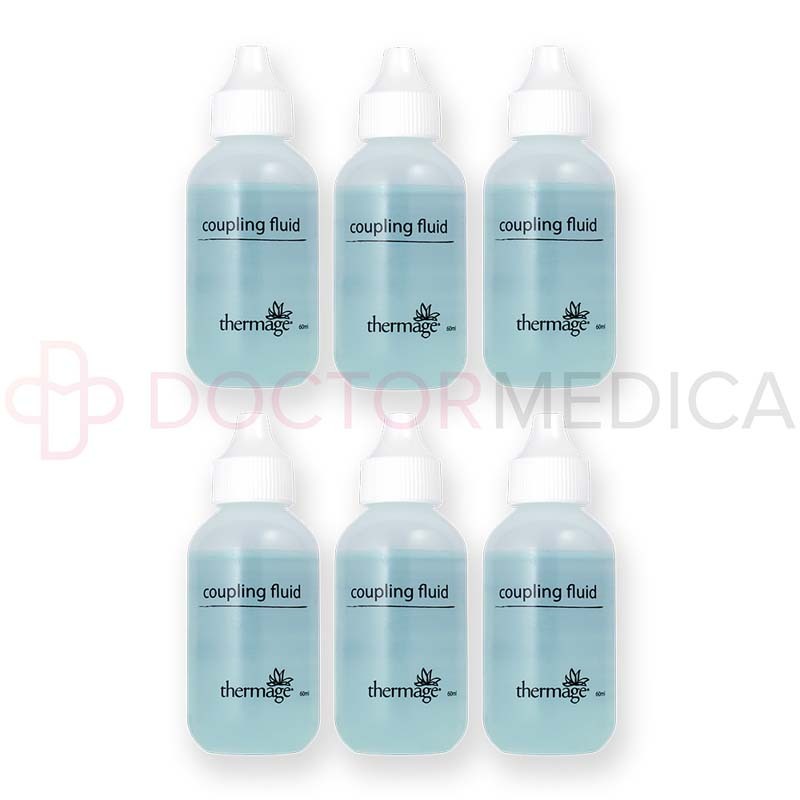 A pack of this product contains a package insert and six 30ml or 60ml bottles of the Coupling Fluid. Treatment with the Thermage CPT system is a noninvasive and non-ablative method of tightening skin, is comfortable, and requires minimal downtime. As skin melanin does not affect the outcome of this type of treatment, Thermage CPT is suitable for all skin types. 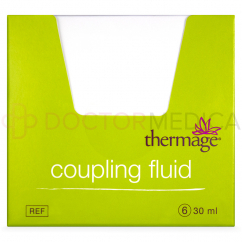 Thermage TF-2 Coupling Fluid is a light blue, viscous liquid with a proprietary formulation. The Thermage CPT system is made of several components, including a radiofrequency generator, a cryogen unit, and a Handpiece on which a treatment tip is attached. When a Thermage treatment tip is attached to a Thermage CPT system and comes into contact with the skin, it delivers radiofrequency energy pulses from the system and determines the depth and size of heating. Thermage CPT is a medical device that heats deep tissues and collagen fibrils in these tissues. Volumetric heating of these collagen fibrils results in their shrinkage and, by extension, a visible skin tightening effect. Dermal heating also activates the body’s wound repair mechanism, resulting in the deposition of new collagen. 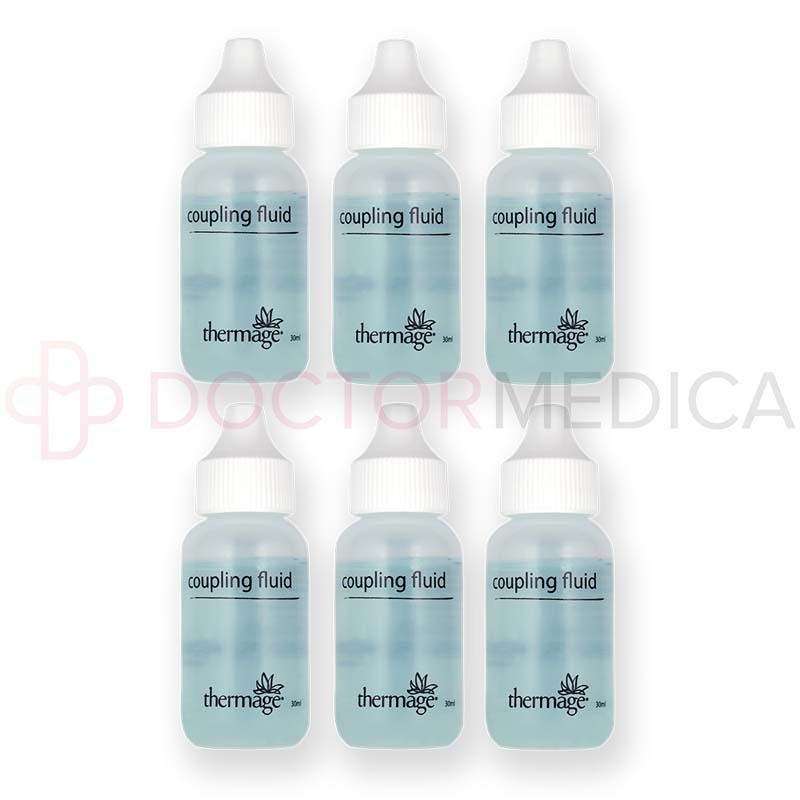 This enhances the skin tightening effect for as long as two to six months after the initial treatment. 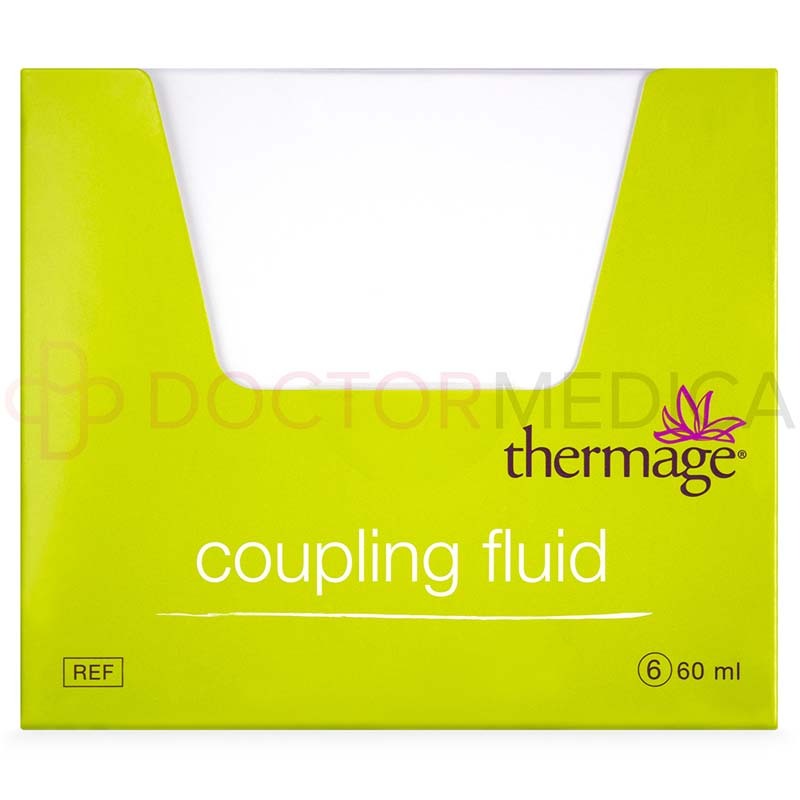 Coupling Fluid creates a conducive environment for the effective delivery of electrical energy to the skin, thereby helping to ensure penetration of the current to the intended region(s). A skin-tightening treatment with Thermage CPT should be conducted by an appropriately trained and legally-authorized physician. Before starting, pre-procedural photographs should be taken so that the results of treatment can be accurately evaluated. Place a grounding pad on the patient, either on their lower back or stomach, to create a controlled path for the radiofrequency energy to return to the generator of the Thermage CPT system. Cleanse the area that is to be treated with alcohol to remove all impurities, makeup, and lotions. Place a grid from a Thermage Skin Marking Paper to the treatment area to guide pulse placement. Place a thick layer of Coupling Fluid onto the treatment area before delivering radiofrequency energy to the treatment site. Pulses of this energy should be laid down in points that are adjacent but not overlapping. 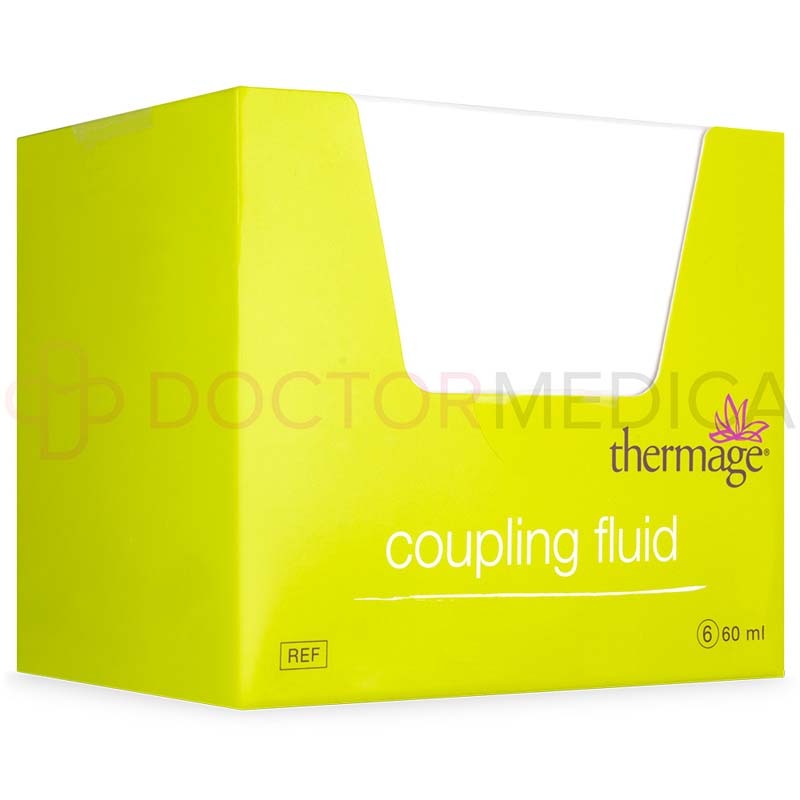 Coupling Fluid can be reapplied as needed. Extra pulses can be targeted at areas of concern. Once the procedure is completed, the treatment area can be cleansed with alcohol to remove the grid markings. A single treatment session with the Thermage CPT system usually takes between 30 minutes to an hour and a half to complete, according to Solta Medical—the manufacturer of Thermage products. The Thermage CPT system delivers results after a single treatment. The Thermage CPT system has many applications, including reducing lines and wrinkles, tightening loose skin, lifting drooping areas (e.g. brow, cheeks), and improving the appearance of cellulite and other localized adiposities. The Thermage CPT system is compatible with interchangeable tips, which allows the system to treat a number of treatment areas. As such medical practitioners can treat skin laxity and wrinkles on the face, around the eyes, and on the body with a single system. The majority of patients will see measurable results gradually in the two to six months following their treatment session with a Thermage CPT device. The effects of a Thermage CPT treatment session can last for a few years, depending on the patient’s skin condition and aging process. The Thermage CPT system provides effective skin tightening in one convenient treatment session with minimal treatment pain and little downtime. The Thermage CPT system not only delivers instant results, but it also confers long term benefits that result in tauter skin that improves over time. 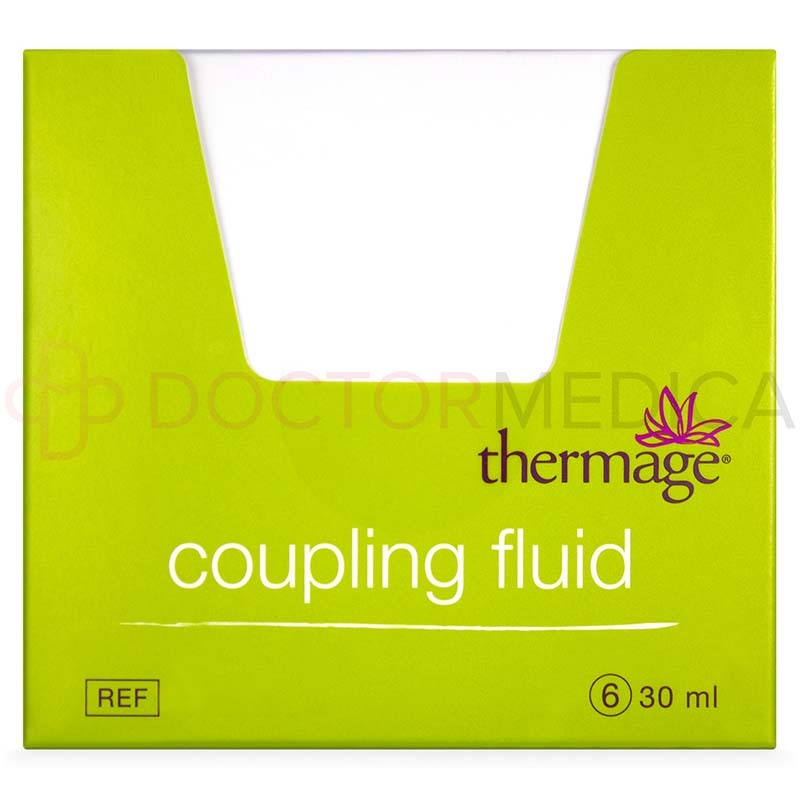 Thermage TF-2 Coupling Fluid is an important accessory for this system that allows treatment to be carried out. Patients that are suitable for treatment with the Thermage CPT system are patients in their 30s to 60s with mild to moderate skin laxity and are not willing to undergo surgical approaches. If considering Thermage CPT for cellulite treatment, patients should have Grade I or II cellulite. 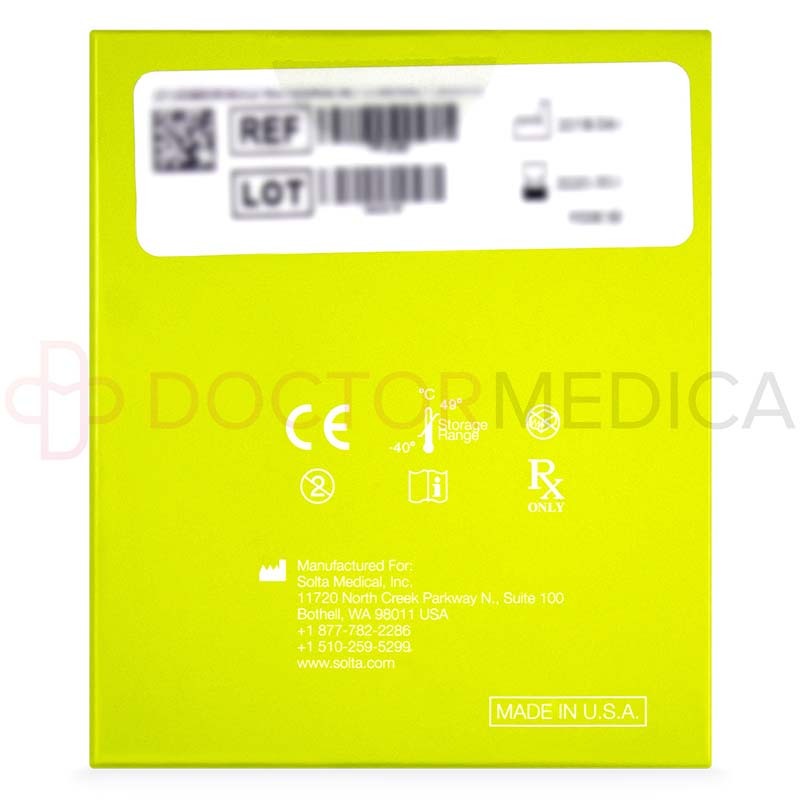 It should be noted that Thermage CPT is contraindicated in patients with an ongoing skin infection at the putative treatment site; people with a metal implant at or near the proposed treatment area; patients with a pacemaker, internal cardiac defibrillator, or other implanted electronic device; and women who are or may be pregnant. Common side effects of treatment with Thermage CPT include mild swelling and skin redness. These reactions are usually temporary and usually go away within a week of treatment. Rare complications that have been reported with the use of the Thermage CPT system use include skin indentations, temporary crusting or scabbing, and dysesthesias at the treated site. This is not a complete list of side effects. 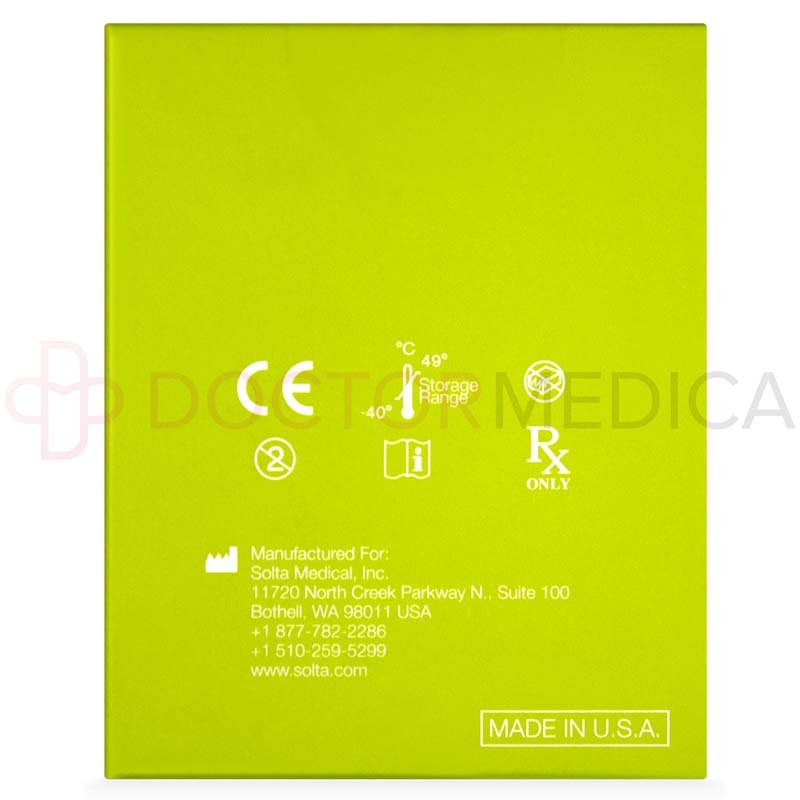 Please refer to Thermage CPT’s package insert a full list of contraindications, precautions, and potential side effects.